How much is Dave Chappelle Worth? Dave Chappelle net worth and salary: Dave Chappelle is an American comedian, actor, screenwriter, and producer who has a net worth of $50 million. Dave Chappelle was raised in Washington, DC where he attended the Duke Ellington School of the Arts before moving to New York City to pursue a career in comedy. He performed at the Apollo Theater's Amateur Night and soon made a name for himself on the New York comedy circuit, and made his film debut at the age of twenty in the 1993 Mel Brooks comedy Robin Hood: Men in Tights. 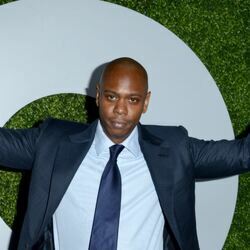 Chappelle then took minor film roles and attempted several failed television pilots before launching his own series, Chappelle's Show, on Comedy Central in 2003. The show ran for two successful seasons and was nominated for two Emmy Awards before Chappelle abruptly left during production of the third season, though Comedy Central later aired the episodes created without him. In 2004, Michel Gondry directed Dave Chappelle's Block Party, a documentary about a rap concert hosted by Chappelle in Bedford-Stuyvesant, Brooklyn, which was accompanied by a number of rap and hip-hop performances, including the reunion of The Fugees. 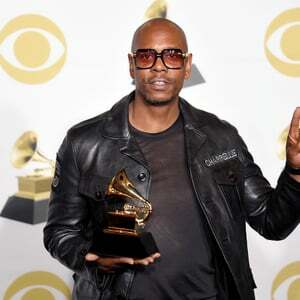 Chappelle is not very active in television or film, and lives with his wife and two sons in Yellow Springs, Ohio. 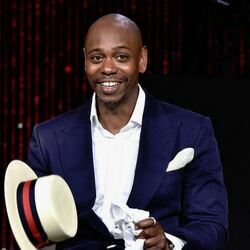 Dave Chappelle Netflix deal: In November 2016, it was announced that Dave had signed a deal with Netflix to deliver three standup specials to the streaming service. Dave was reportedly paid $60 million for the specials, one of the largest deals ever paid to a comedian for any medium. Between June 2016 and June 2017, Dave earned $47 million. Between June 2017 and June 2018, Dave earned $35 million.